Imprivata PatientSecure® patient identification system, sold and implemented by Forward Advantage, uses advanced biometrics for secure and efficient identification at registration and all points of care. This includes palm-vein and iris scanning. 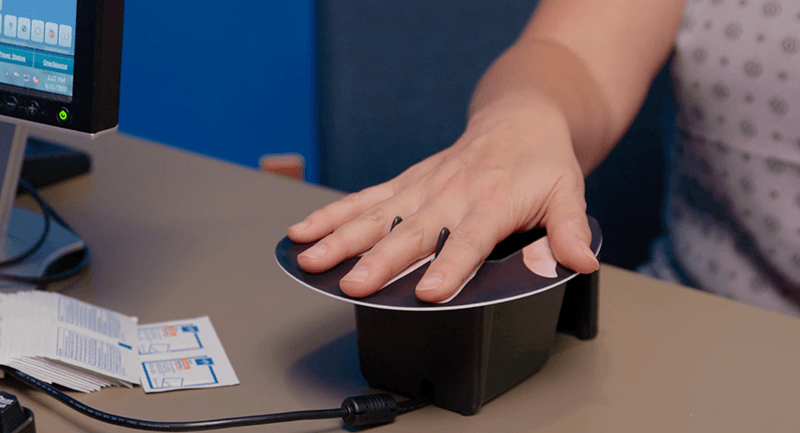 The former uses a patient’s unique palm-vein pattern, while the latter offers a touchless patient identification solution and enables single-step photo capture at the time of biometric enrollment. Regardless of the method, either choice provides a painless, efficient, and accurate identification process for patients. MEDITECH-Approved Reseller Partner. Learn More. “It was a partnership with Forward Advantage. They shared their expertise but were also very willing to understand our personal situation. Trust Forward Advantage and our 25 years optimizing healthcare workflows to maximize your Imprivata PatientSecure investment.